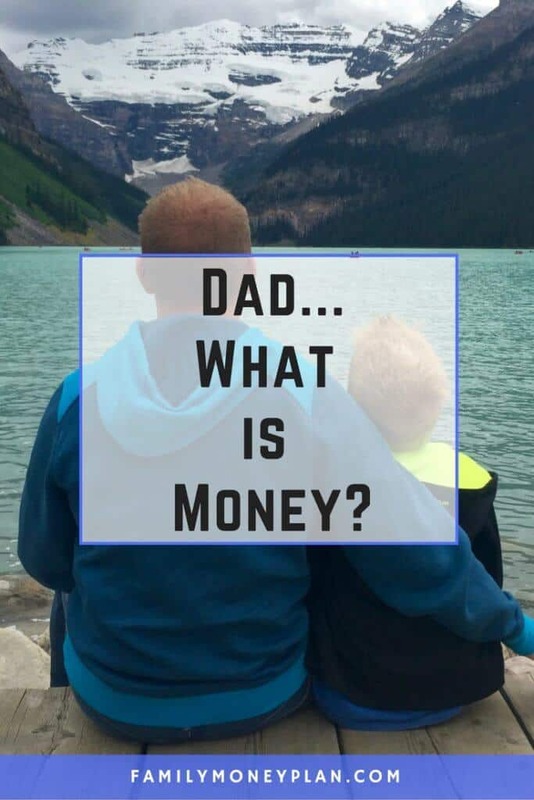 “Dad, what is money?” my 5-year-old son asked me on a bright summer afternoon as I sat in the yard. Catching me totally off guard from the daydream I was having about travelling in Europe again. “Crap. I don’t know…” I thought to myself. I mean… I do know money. I use it, earn it, spend it, save it, find it and lose it. I have a fondness of money, not the kind of do-anything-to-get-more-of-it mentality, but I do really like money. It’s something that goes through many parents mind a hundred times a day. I call it the “Good Parent Curse”. Those times when we immediately know when we do wrong and rarely recognize when we do good by our kids. I stared at my son and deflected the question in the only way I could think of, trying to buy myself some time. “Why do you want to know?” I said. I figured this would buy me a little time. I’ve been a student of money my entire life. I have been burdened by debt and elated by windfalls (aka finding $20 bill in a winter jacket). This should be an easy answer. Yet still, staring at my eagerly awaiting son, I had no clue how to explain money to someone his age. “Well, I just wanna know.” he quickly responded. So much for buying time. One thing you will find with kids at a young age, they know what they want. Although they can rarely articulate the reason why they want it. Do I say: “It’s what people use to buy things”? It’s simple and true. But would this lead him down a path of materiality? Always believing that if you have things, it meant you had money. I didn’t want my son going down the path of materiality. We get so stuck in the visual world of flashy possessions that we never think of the debt that is behind the purchase. Do I say: “It’s something you work for”? I know we all work for a living. I just didn’t want him to go to work exclusively for money. But what if I could set him on a path towards a different end that you don’t work for money, but for fulfillment and satisfaction instead. That might be better. As a parent, you are an educator to your kids, often by example, and the idea of tying work to money at such a young age didn’t sit well with me for some reason. Do I say: “Money is an idea”? I think I read that in a Robert Kiyosaki Rich Dad books. It’s a great line, but for a 5-year-old it’s just going to leave him more confused. “Yes, it’s a skill. Just like skating or walking. No one is born knowing about money, or walking, or skating, it’s something you have to learn. If you can master money you will be much better off.” I replied. I thought it was best to set him up knowing that money was just a thing, but a tool, something that you learn about and can use to do many things. 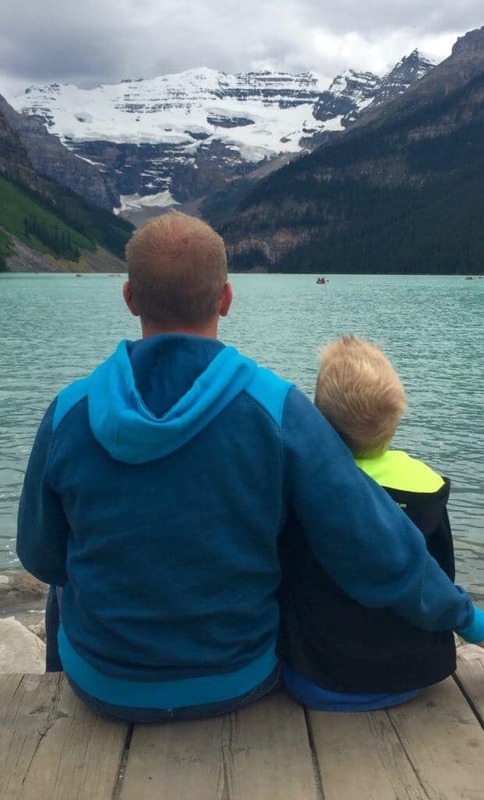 “What is the most important thing dad?” my son said. “How do I get good with money?” my son asked me, looking more confused than ever. Next time, I’ll share with you how we are handling our kids’ allowances. Make sure to sign up for our newsletter so you don’t miss out. How would you handle explaining to your kids what money is? Its great that your son at five is asking. Never an easy question. I lead by example with my three and involve them in our budget discussions. Also taking to them about things they are interested in and weaving money into is another good way to go. Good luck! It really isn’t an easy question. It sounds like it should be so simple until you realize you are explaining it someone who needs it broken down and very plainly defined. I like the idea of weaving money into stories, thanks for that Brian! Very sweet article. Thank you for sharing. Although my boys are 17 and 18 now, I can imagine myself easily handling their 5 year-old questions is similar fashion. 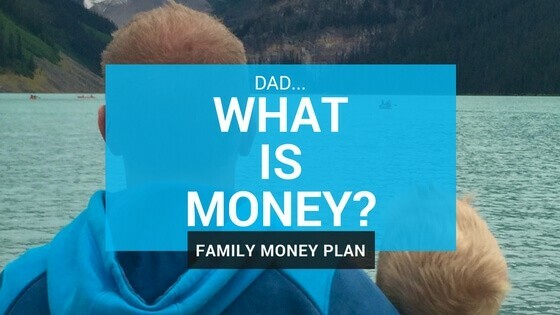 Although you don’t want to force it, keeping the conversation going about money over time is important knowledge for any parent to pass down to their children. You know, to keep them off the Springer show! Thank you! Exactly it’s about always keeping the conversation open so that they know they can talk to you about money whenever they need to. I still call my dad and say “So I’m thinking of doing this with my money… what do you think” I know I will always get a good answer and talk out of it. Needless to say I never went on Springer. I don’t think it’s so hard to get for a kid. Money is something you trade your energy for, that allows you to get something from. That’s a great point! I think I will work that into our money talks. Thanks! My son asked me a variant of this question when he learned that banks have all the money and if you don’t have any, just go to any bank and they will give you some. I used this opportunity to teach him deposit and withdrawal and simple interest, Now, at 10, he has has his own bank account and keeps asking me if his ‘interest’ is going up. ???? That is awesome. I know with my kids whenever we go to an ATM they think it’s a magical box that gives you money. I make sure they know, daddy has to put the money in before he can take it out. This was so sweet to read. 🙂 I’m sure you’re an amazing father! Money lessons start early–it’s all about defining and understanding financial concepts. I love that you didn’t focus on “money is what we use to buy lots and lots of stuff” because that’s not always true. Well done! Thank you for such kind words, as much as I love to write about money, talking to someone who is learning to tie their shoes about money is a challenge. You’re so kind! I also suffer from the “curse”. Every little mistake I make as father I imagine amplified 10-fold over the course of him growing up. Thanks for this article! My kid just turned three and isn’t asking about money yet, but this helps give me a dress rehearsal for what I plan to say. Thanks Kyle! You nailed it. One simple question and all of a sudden I was down a rabbit hole of questions and doubt. I hope what I told him was right, only time will tell. So far it seems to have worked. Thanks Bob. When you realize money is a skill that none of us are born with it makes it more accessible to learn about it and get better with it.